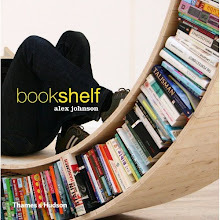 The book of the Bookshelf blog is published by Thames & Hudson. Many thanks to all of you for visiting, suggesting and getting in touch over the last few years and I hope you will enjoy the book just as much. You can buy it from your local independent bookshop or from the usual suspects online. It has also been translated into Italian, Korean, Swedish, Japanese, French and German editions.